Organisasyon ng Batikan at Responsableng Artista ng Bayan (OBRA Incorporated) is a non-profit Filipino cultural organization that provides functional use of the arts in the modern society. The organization founded online communities that uplifts cultural development to overseas Filipinos. The group also organize theater plays, produce films and conduct outreach programs to promote the significance of Pinoy arts and culture. 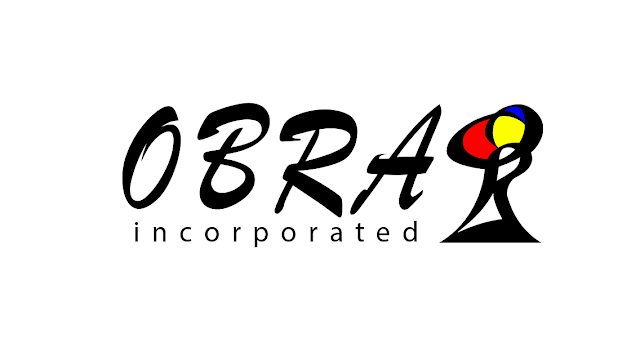 OBRA Incorporated aims to promote the significance of Filipino culture & arts and uplift Philippine heritage, not just within the country but the whole world as well. To organize activities to advocate Filipino cultural heritage. 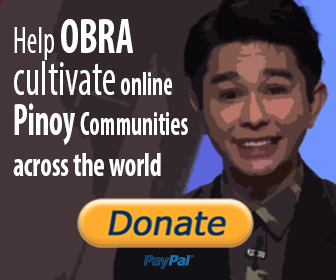 Create programs reconnecting overseas Filipinos to help them trace back to their Pinoy roots. To teach the value and significance of the culture and arts to common people. Help rural communities and depressed areas to use arts for a blissful livelihood. To provide practical uses of the arts in the modern era. It was summer of 2007, a young fellow who loves Filipino culture saw through small town Filipino fiestas. It wasn’t the lovely banderitas that caught his eyes. As he saw creative artists mend tedious walls to vivid murals, watched budding performers give their best in those makeshift stage and thought of themselves bigger than the cheering crowd, their talents just shone brighter. The occurrence exhilarates him and resolved to study sundry areas of Arts. His motivation grew to greater heights. He learns by being a teacher to aspiring talents. And a student himself, he expands his wisdom from attending workshops, assemblies, performing and joining competitions in and out the country. In this journey, he convenes with individuals with the same vision, to plant a bigger venue where they can collaborate harmoniously towards the recognition of Filipino skills as well as Filipino culture and arts. The seed that will inspire budding artists and help cultivate talents who were not given the opportunity, but a wealth of potential and passion for the arts was born. They formally called the Philippines’ culture, arts and talents haven, OBRA Incorporated (Organisasyon ng Batikan at Respetadong Artista ng Bayan, Incorporated) and was officially registered non-stock cultural association. These individuals plays the biggest role in establishing a group that will bring the best in promoting Filipino Arts and culture. On 2018, the O.B.R.A. acronym is renamed to "Organisasyon ng Batikan at Responsableng Artista ng Bayan" to emphasize promoting the deeper meaning and significance of arts and culture to Filipinos and advocate for the responsibility of being an artist of the nation.